Support Jordan Tourism Board in promoting and selling Jordan as a safe and desirable tourism destination in North America. Related tourism businesses – even those on separate continents - can greatly benefit from combining their marketing efforts, and creating efficient and cost-effective cooperative marketing campaigns that prove highly convenient for consumers. With this in mind the USAID tourism project helped JTB and JITOA establish eight joint marketing campaigns between Jordanian and North American travel agents and tour operators, focusing on social media and different offline and online channels. This succeeded in reaching over 132,500 travel agents and 40,000 group leaders across the U.S. with attractive promotional deals for trips to Jordan. The eight campaigns reached almost 310,000 direct consumers and resulted in over 18,056,000 online impressions. 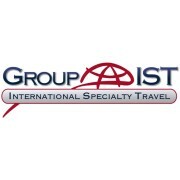 Cooperative marketing campaigns were established with these North American travel agents and tour operators: Sunnyland Tours, Group IST, A&K, Collette, Cox & Kings, G adventures, Indus, Tour East, Amparo, Mega Travels, and Goway. The USAID Economic Growth Through Sustainable Tourism project has worked on a number of ways to stimulate growth and improve travelers’ perception of Jordan as a safe, stable and attractive destination. Marketing Jordan effectively and presenting new experiences helps to increase the number of visitors. Due to persisting regional turmoil, which continued to cause a drop in the number of visitors to the country, the USAID tourism project supported initiatives to promote Jordan as a safe, stable and desirable tourism destination to combat misconceptions about its stability.